Kiddush this shabbat is sponsored by a Few Good Fellows. After Minha Mila baParasha: Understanding a word in our parasha. This week: "Hatsir - חציר" - What does it mean; is it “hay” or else; and is there a connection to “hatser” - a “yard?” Basic (and love of) Hebrew is sufficient. 2nd Floor BM. Shiur After Tefila: “Imaging the Miqdash - Bar Kochba and the Rebuilt Jerusalem." Shiur by Prof. Shimon Fine. After Tefila, approx. 11:15am. After Minha Mila baParasha: Understanding a word in our parasha. This week: "Birkat Kohanim - בִּרְכַּת כֹּהֲנִים" - What does it mean; why do we hide; and what Spock said about it? Basic (and love of) Hebrew is sufficient. 2nd Floor BM. Our Fiscal Year Ends June 30 - Please Support Beth Aharon. Thank You! Beth Aharon Fiscal Year 2015-16 Ends in 2 Weeks, on June 30th. Please try and fulfill it TODAY. Each one, large or small, brings us the support we need to continue and expand our services. 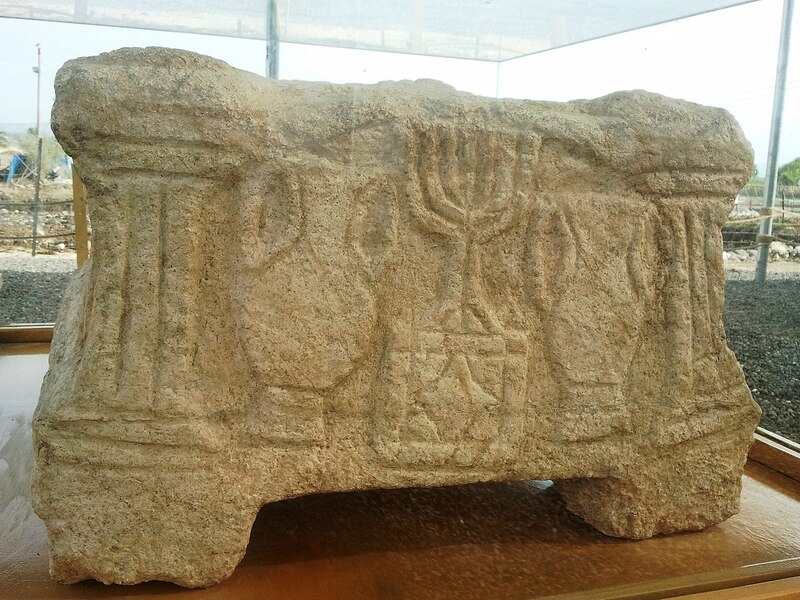 "Imaging the Miqdash: Bar Kochba and the Rebuilt Jerusalem." the Bayit's long-time Youth Director. To all BAnners & FRiends for Joining us on Shavuot Yom Tov 1. Great Luncheon @ Beth Aharon @ The Bayit. Join the Bayit as we celebrate with the honorees. ShabBAN shel Shavuot shel Shalom! Kiddush this shabbat is sponsored by the Rouemy family in honor of Israel Rouemy's recovery. Come share our abundant thanks and gratitude to Hashem. May His blessings continue and extend to all those who are recovering. Azkara of Charlotte Cohen’s father, Zalman Ben Baruch Eli z”l. Sivan 7. After Minha Mila baParasha: Understanding a word in our parasha. This week: "Sheva’ - שֶׁבַע" - What’s in a name that which we call the number seven by any other name would be as strong??? Basic (and love of) Hebrew is sufficient. 2nd Floor BM. Shabbat shel Shalom & Hag Sameyah! ShabBAN shel Shalom! Məvarkhim Bəhukotai Birushalyim Habənuya. Before Minha @ 6:30pm: Yerushalayim - who conquered it and what is the “ayim” for? After Minha Mila baParasha: Understanding a word in our parasha. This week: "'Yovel - יוֹבֵל" - what does the word mean; and what the connection to “mabul,” the “flood”? Basic (and love of) Hebrew is sufficient. 2nd Floor BM. After Minḥa Daf baTalmud: Daf Yomi with Rav Dov Linzer on 3FL. Tractate Kiddushin. After Minḥa Perek baHayim: Shiur at the Main sanctuary.